Today is Wednesday, March 15, the 74th day of 2017 in the Gregorian calendar, with 291 days remaining. 1,407 days until the end of Donald Trump's term as President, assuming he isn't impeached. 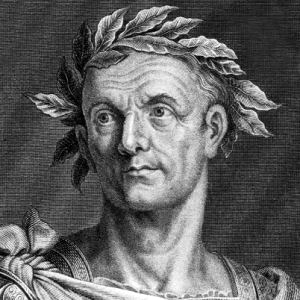 On this date in 44 BC, Gaius Julius Caesar was assassinated as he arrived at the Roman senate. Sixty senators participated in the assault; he was stabbed 23 calls. The famous last words, "Et tu, Brute?" were not actually spoken by Caesar, but comes from Shakespeare's play Julius Caesar. Caesar's dead body lay where it fell on the Senate floor for nearly three hours before other officials arrived to remove it. The result unforeseen by the assassins was that Caesar's death precipitated the end of the Roman Republic. Today is also International Day Against Police Brutality. Florida man leads police on chase to get bail money. Bonus Florida item: Search is on for cobra that slithered out of Florida home. "The middle of every successful project looks like a disaster." Just as an aside, today is also the birthday of Saint Nicholas, the fourth century Christian saint and Greek Bishop of Myra, whose legendary habit of secret gift-giving gave rise to the traditional model of Santa Claus through Sinterklaas. What would we lose if immigrants could no longer come to America? Surprisingly, one of the most important things America would lose is the contributions made by their children. 83% of America's top high school science students are the children of immigrants. For decades, liberals have called the Christian right intolerant. When conservatives disengage from organized religion, however, they don’t become more tolerant. They become intolerant in different ways. Research shows that evangelicals who don't regularly attend church are less hostile to gay people than those who do. But they’re more hostile to African Americans, Latinos, and Muslims... among Catholics, mainline Protestants, and born-again Protestants, the less you attended church, the more anti-immigration you were. Just a year ago, she was a knockabout GOP pollster and talking head, a casino worker’s daughter who's never quite shaken her South Jersey accent. But she'd understood something about the electorate that others had missed, and now here she was: perhaps the most powerful woman in America, a senior counselor to the president of the United States, a member of Donald Trump’s core team of top advisers. Kellyanne's Alternative Universe. MSNBC's The Rachel Maddow Show outrated every other primetime show during the week of March 6. Not only did that make her show No. 1 among adults 25-54 in her 9pm time slot with an average 624,000 viewers, she even beat cable news' perennial victor- Fox News Channel's Bill O'Reilly. Her average 2.62 million viewers marks nearly an eight-year high and MSNBC's narrowest margins (coming within one percent) between Fox News to date. Last night, she revealed the first two pages of Trump's 2005 federal income taxes, continuing her nightly in-depth investigations into the bizarre foreign entanglements and odd doings of the 45th President. Credit scores for millions of Americans may soon increase due to two major changes in credit scoring. Starting July 1, the three major credit agencies — Experian, Equifax and TransUnion — are dropping certain negative information from credit reports, including tax liens and civil judgments. For the second year in a row, carbon dioxide levels in the atmosphere have increased at a record rate, jumping 3 parts per million (ppm) in 2016, according to data from the National Oceanic and Atmospheric Administration. CO2 concentrations rose 3.03 ppm in 2015, making the last two years the first time that the greenhouse gas has risen more than 3 ppm in NOAA’s 59 years of monitoring. 30 percent to 50 percent of Arctic ice melt is due to natural cycles, but the remaining melt is due to human activity.